Tünde said: "Last week I visited Budapest, and I found a very nice, little secondhand bookstore. It's Treehugger Dan's Bookstore and Cafe." The motto of this bookstore is: "The local bookstore with a global conscience." And yes indeed, this place seems to be a lot more than a regular bookstore. Treehugger Dan's Bookstore and Cafe reflects two passions of its founder and owner Daniel Swartz - environment and books. The combination of these two lead to the creation of this unique bookstore in Budapest. The bookstore offers a wide selection of well over 4000 second-hand English paperbacks. Besides fiction books, you can find non-fiction titles from many different fields such as environment, gender studies, politics, history, sociology, philospohy, religion or art. 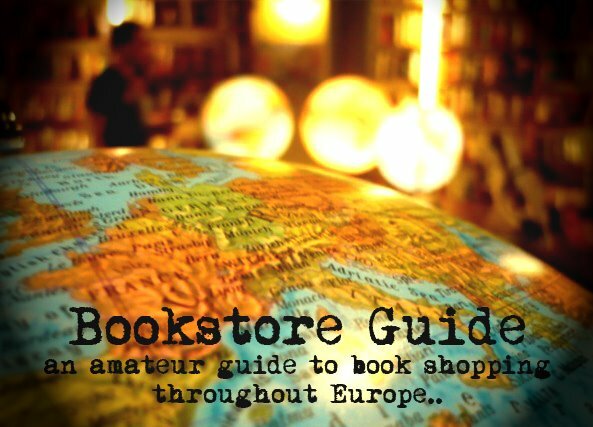 The store is also known for its well stocked travel section, offering all sorts of travel guides and other travel related titles. 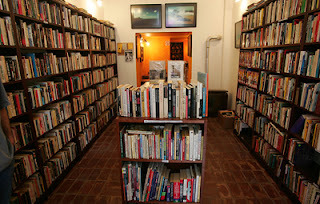 The bookstore also buys used books and offers the possibility to swap English language magazines. As the word Cafe in the name of this bookstore indicates, Treehugger Dan's is not only about books. While browsing through the shelves you can enjoy a cup of Fair Trade coffee, tea or hot chocolate. One more important information - one of the things Dan seems to be keen on is keeping the prices reasonable and thus affordable for all of his customers, and this is true for the books just as for the offered drinks. The prices of the used paperbacks mostly range from up to max 6€. Literary, but also environmental, cultural and political events related to the philosophy of this bookstore take place on regular basis, the precise dates can be found in the events calendar on the website. The original Treehugger Dan's bookstare was opened in March 2006 and was located at Csengery u. 48, near the Oktogon square. However, since the stock has obviously been growing ever since and the number of books doubled, Dan decided to open a second store and, unfortunately, close the Csengery location in 2012. The second location offers more space, comfort, and even wifi internet, and of course lots of books and organic and Fair Trade products. Treehugger Dan's Bookstore and Lounge is was opened in November 2007 and it still functions in the Lazar u. 16.